﻿ Bartolomeu: "Cristiano Ronaldo wouldn't fit for Barcelona"
03.12.2011» Bartolomeu: "Cristiano Ronaldo wouldn't fit for Barcelona"
Is Barcelona squad that good that they would actually discard having a player like Cristiano Ronaldo on their side, if they ever had that chance? Probably not, but Josep María Bartolomeu, the Blaugrana's vice-president, claimed that Cristiano Ronaldo wouldn't fit on this Barcelona team. 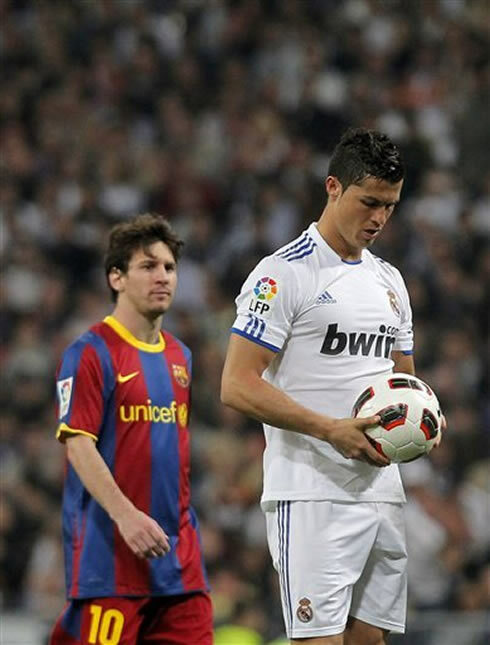 Barcelona's vice-president, Josep María Bartolomeu, decided to leave a small provocation to Cristiano Ronaldo, by saying that the Portuguese player wouldn't be good enough to play for this Barcelona team. 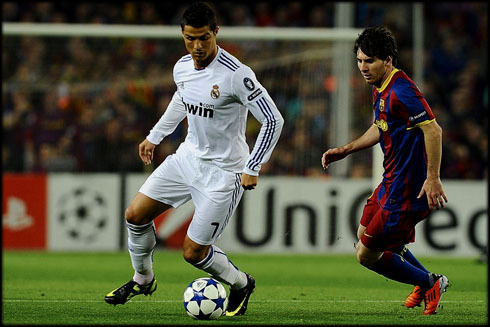 "El Clasico" between Real Madrid and Barcelona is just one week away from now and these sort of statements are obviously just an attempt to intice Cristiano Ronaldo before such an important week. Since Ronaldo's arrival to Real Madrid in 2009, the Portuguese player had 108 official games appearences for the club and scored a total of 106 goals, which yields a 0.98 goal per game ratio. Speaking to a radio from Catalunya, Bartolomeu has stressed that the current European champions wouldn't be interested in signing a player as Cristiano Ronaldo, if an opportunity for that ever happened. Bartolomeu: "We simply wouldn't hire Ronaldo. He's a very good football player, a star, but he wouldn't be good enough for this Barcelona team. We already have the best player in the World, which is Lionel Messi. There's no one in the World who can replace him", assured the Blaugrana's vice-president, intentionally neglecting the possibility of having Messi and Cristiano Ronaldo on the same team, in order to be able to discredit the Portuguese player in such a disrespectful manner. One of the hot topics has also been the controversial yellow card seen by Gerard Piqué against Rayo Vallecano, which will force the Spanish defender to be sidelined against Levante this Saturday, but will assure his presence in the "Clasico" against Real Madrid, in next December 10. As expected, Bartolomeu keeps playing the false and lying game that we've been used from Barcelona side over the last seasons, and attempted to justify the yellow card as something that simply happened naturally. Bartolomeu: "At the time that Piqué got shown that yellow card, we were up by 4 against Rayo Vallecano and he naturally wasted some time when taking a free-kick. Moreover, we'll have a very important game this Saturday [Barcelona vs Levante] and it's not good at all that we can't count with him", said Barcelona vice-president. Even though it's true that we weren't expecting that a Barcelona's director would assume the real intention behind that incident, the fact that they keep pretending that everyone else is just fool and believes that Barça actually needed to waste time when beating Rayo Vallecano by 4-0 at home, is just ridiculous. No need to say that this lack of honesty is already characteristic from Barcelona's directors. Real Madrid will face Sporting Gijon, for "La Liga", this Saturday. Cristiano Ronaldo should be on the line-up, even though it's still not confirmed. This Saturday you can watch Aston Villa vs Manchester United for the English Premier League, but also Sporting Gijon vs Real Madrid, and Barcelona vs Levante, both games for the Spanish "La Liga". They are all available from our football live streams section and you can check how much time is left for the next Cristiano Ronaldo game, by looking at the countdown timer, placed at the top right corner of any page.